Me Before You (film, 2016). A 2016 romantic drama film with "PG-13" rating by Warner Bros. Pictures and Warner Bros. Directed by Thea Sharrock. Official Trailer. Me Before You is a 2016 romantic drama film directed by Thea Sharrock. 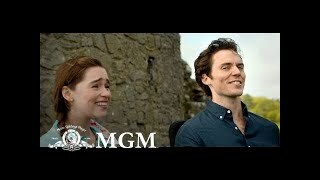 Me Before You | Official Trailer 2 . Louisa Clark (Emilia Clarke) is a happy, outgoing woman who lives with and supports her working-class family. After losing her job at a local cafe, she is hired as a companion for Will Traynor (Sam Claflin), a former successful banker and once active young man who became paralyzed after being involved in a motorcycle accident two years prior. Louisa has no experience, but Will's mother believes her cheery personality will help lift his spirits. Will only spends time with his nurse Nathan (Steve Peacocke), who knows that he will never regain use of his body due to the damage to his spinal cord. Nathan assists him with everything physical like movement, exercise, and clothing. Principal photography began in April 2015, and ended on June 26, 2015. The film Me Before You was scheduled to be released by Warner Bros. Pictures and Warner Bros. on May 23, 2016 (New York City), on June 3, 2016 (United Kingdom and United States), on June 22, 2016 (France) and on June 23, 2016 (Germany). The duration of the film is 110 minutes. With a budget of $20 million, the film grossed over $208.3 million. Me Before You got average rating from critics. But the audience likes the film. Audiences polled by CinemaScore gave the film an average grade of "A" on a scale ranging from A+ to F.